Many new developments on a wide variety of topics have been reported at this Symposium. These include: description of mechanical properties of soil, instabilities in soil behaviour; laboratory testing and identification of material parameters, hydro-mechanical coupling in relation to problems of nuclear waste disposal and applications of numerical methods to the analysis of tunnels, embankments, slopes and foundations. A special section is devoted to applications incorporating the tools of computational intelligence. A number of papers describe case histories of practical applications. 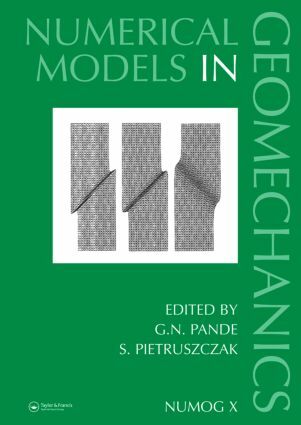 These proceedings of the Tenth International Symposium on 'Numerical Models in Geomechanics', NUMOG X, held in Rhodes, Greece, 25-27 April 2007, contain 104 papers which were selected for presentation. The wealth of information in these proceedings should be of interest to students, researchers as well as practising engineers.